Home / Dental Care / Are Veneers Right for You? Everyone wants to be able to eat, laugh and smile without fear of embarrassment. This can be difficult to do when you feel insecure about your teeth. Keep reading to learn more about dental veneers and how they can help you learn to love smiling again. When Would I Get Veneers? Your teeth are badly stained—Certain substances like medications, cigarettes, wine and coffee, can cause severe staining over time. If your teeth are badly discoloured, teeth whitening may not be able to reverse the damage. As long as your teeth are still healthy, veneers can be a great way to enjoy a bright, beautiful smile again. You have wide gaps in your teeth—Porcelain veneers do a great job of closing up cosmetic gaps in your teeth. Your teeth are chipped—If one or more of your teeth are damaged, you may feel embarrassed by your smile. Veneers can be used to restore the look and function of the tooth and give you back your confidence. Your teeth are crooked—If your two front teeth don’t line up quite the way you’d like, veneers can help you achieve the perfectly straight smile you’ve always wanted. 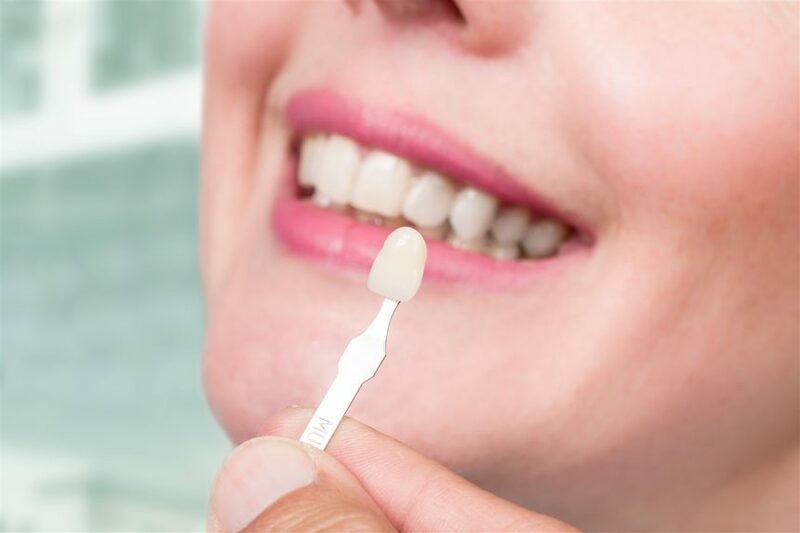 Each set of veneers is custom made just for your mouth by your general dentist in Edmonton.Porcelain laminate veneers are made up of several layers of thin ceramic and adhesive. Because a very small amount of your own enamel will be removed in order to make room for the veneer, the procedure is considered permanent. A special resin is then used to bond the veneer to the tooth. What Are the Benefits of Getting Veneers? It’s important to remember that veneers aren’t suitable for everyone. Speak with one of the general dentists from Bonnie Doon Dental Associates in Edmonton today to determine if veneers are a good option for you. One of our general dentists will be happy to answer any questions you may have and walk you through the process of getting veneers. Contact us today to book an appointment!